Cross and Cutlass: When Angels Cry is now available for Pre-Order!! 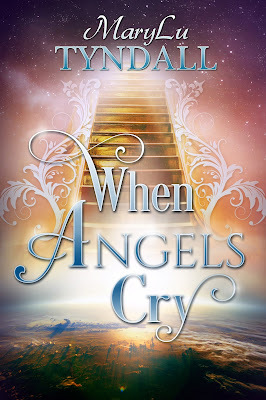 When Angels Cry is now available for Pre-Order!! I'm happy to announce that my next book, When Angels Cry, is now available for Pre-order on Amazon Kindle! I also expect the paperback to be available soon as well as the ebook on Barnes and Noble, Itunes, and Kobo! But for now, here's the brand new cover! What do you think? A single mom struggles to raise a son in a world where immorality, violence, and most of all deception threaten her from all sides in what many are calling the end of days. But Angelica has a gift from God, visions of the future and the ability to peer into another realm. Yet what can a poor cocktail waitress do with such a gift? More importantly, why is God sending her to warn the one man she vowed never to see again—the man who long ago broke her heart into pieces? Pastor Daniel Cain has it all, a megachurch with more than twenty thousand members, best-selling books, and sermons that are listened to worldwide. Now, he has a chance to be selected as the President’s spiritual adviser, which could propel him into the political career of his dreams. But when a woman from his past delivers a cryptic warning from God, it sends his life into a tailspin of confusion and intrigue and threatens to destroy, not only everything he has achieved, but everything he believes. In the final minutes before the trumpet blows, while a spiritual battle rages all round her, Angelica fights to convince Daniel one last time of the truth—before it’s too late and all hell unleashes on the earth. Release date is April 3rd! 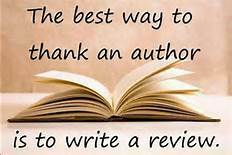 Two of my author friends read it and here's what they had to say! Not since the Left Behind series has there been a more compelling and eye-opening novel. Taut, tense, and totally unpredictable, When Angels Weep is a powerful love story not only for the heart and soul, but one for the ages—especially the age to come. — Julie Lessman, award-winning author of the Daughters of Boston, Winds of Change, and Isle of Hope series. This is a contemporary romance/suspense story. Even if you don't read contemporary books, I hope you'll give this a chance. This isn't just another book for me. This has an important message in it for the church. 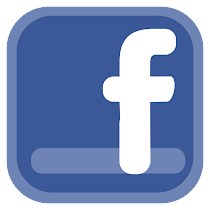 No, I'm not a prophet, pastor, or Bible scholar. I'm just a romance novelist who loves the Lord with all her heart and who strives daily to walk with Him and obey Him. This book is a product of that walk. My prayer is that it opens the eyes of many who are asleep and brings them into the loving arms of Jesus before it's too late. I would appreciate your prayers for God's will for this book. And in case you're worried, I fully intend to dive back into history with my next book. To find out what I'm working on, click on "Coming Soon" above. God bless you all, and have a great weekend! I am loving -"When Angels Cry"
Your insight and knowledge and gift of painting with words have created a book that many should read. It is like seeing on the news what we are becoming. A church with out Christ. A country of Politicaly Correct. You have written with insight of what is going on in schools with our young who are innocent and learning things that their parents are unaware of. Yet what I love most of all so far--is the way you show that God loves us all! No matter who or what we were. He loves us and wants us to come to Him even if our outer or inner selves are torn and tattered, He loves us and wants us. i dont want to spoil the whole story for those who are waiting to get this fantastic book so I will just say--MaryLu , thank you for being obedient to what God wanted to you share. The time is near--don't miss it-- seek God --not only seek Him but accept Him. I am so excited for you, my friend. God is truly using you to spread the Word and I am sure that many will benefit from this wonderful story. I am SO looking forward to your next projects! These types of books are my cup of tea. I can't wait to read it. This is an important work with a message that so many need to hear. It will focus or re-focus their minds on the ever present spiritual battle going on every day and the strength we have in Jesus to overcome, as witnessed in Angelina, the main character. I want to be just like her, spiritually. This well written work of fiction had me longing for bedtime each night just to find out what the characters had done since the day before. And then I would wake up wanting an update.